You may have read my previous article about my attempts at building a mono white commander deck. White is my least favorite color so I struggled to piece together a mono white list that would be both original and effective. One of the ideas I explored was to create a mono white eggs deck. My attempt at drafting up a list used lots of 1 mana baubles and spellbombs (aka eggs) along with cards like Second Sunrise to bring them all back again. If you aren’t familiar with the concept, here is a modern list (now mostly banned) that used eggs to keep thinning out a deck until Pyrite Spellbomb could be cast over and over. 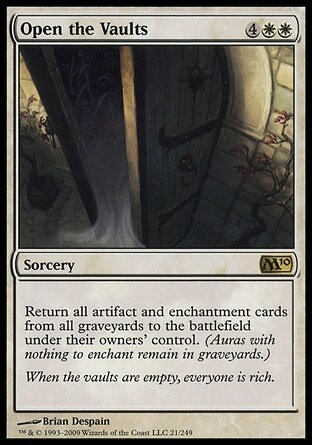 Theoretically in a commander deck this would allow you to churn through a lot of card draw with multitudes of these cheap artifacts. The only issue I came across with the mono colored list is that white just didn’t have the tools to fashion a reasonable win condition out of all of this durdling. The deck can cast a lot of spells, but white doesn’t have an available storm card capable of closing out games. I didn’t let the idea die, so it lingered in the back of my mind as a long term goal, to make eggs work as a commander deck. Durdle until all of my opponents turn into fossils, to be discovered by archeologists millions of years in the future. When their stupid bones are put on display in a space museum, casual observers will be able to tell that I won. How does this whole mess work? The first key to winning a game with eggs is having trinkets to fiddle and fidget around with. The core of the deck is going to be a big toolbox of 1 mana or less artifact things. 0 and 1 mana artifacts can get fetched by cards like Trinket Mage and Artificer’s Intuition allowing us to rummage through our toolbox. Auriok Salvagers and Argivian Archaeologist provide a couple of creature based methods of recycling our junk. 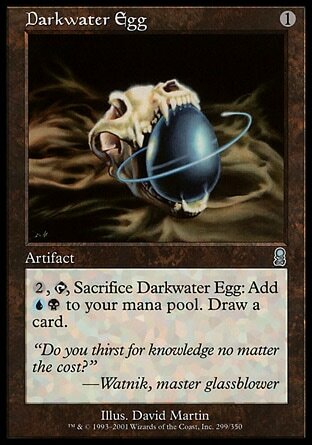 Mana Eggs: Cards like Darkwater Egg, Chromatic Sphere and Chromatic Star not only give us mana fixing, but they replace themselves with card draw triggers. Drawing more cards means most likely drawing more eggs which we can cast off of the mana from our mana eggs. Which of course means, more eggs. Eggs are good. 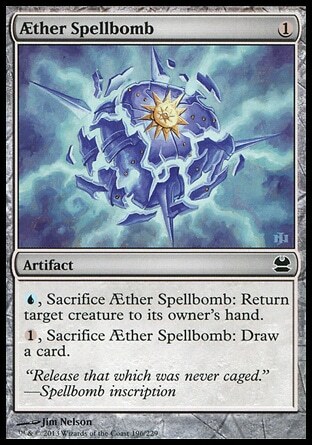 Egg Bombs: Spellbombs like AEther Spellbomb and Flight Spellbomb provide handy one shot effects along with the ability to draw more eggs. Eggs are good. Keep in mind we are Earth conscience, so we will be recycling our Scrap metal to do it all over again. 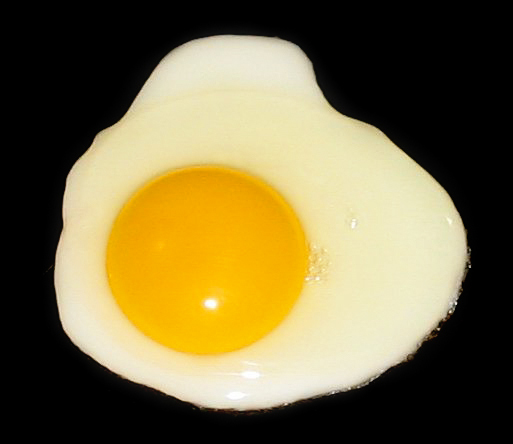 Egg Effects: Not all eggs let us just churn through our deck, we also need some toolbox items that we can fetch to prevent us from being killed to death. Meek Stone is a great artifact to get out as soon as you can. 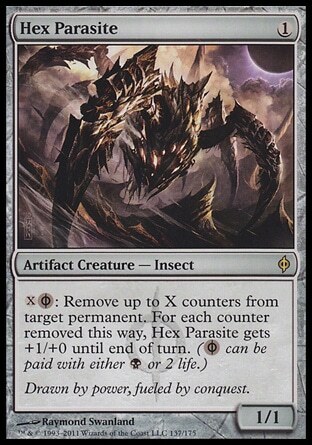 I’ve also used Hex Parasite to eat counters off one planeswalker and make a buffed up swing into the other. Sydri also lets us animate our cheap eggs and potentially give them deathtouch. This is a decent early game rattle snake strategy to deter would be attackers. No one wants to lose their Verdant Force to a lowly Conjurer’s Bauble. If you misuse your eggs, you’re going to be living in a VAN down by the River Kelpie. River Kelpie is an important piece to the puzzle. The ol kelp ball allows the deck to draw more cards after recycling a big pile of eggs via a Second Sunrise, Open the Vaults, etc. Using the trusty Salvaging Station with the kelpie provides a way to get more card draw off of our eggs. We can turn our eggs into mana via Krark-Clan Ironworks. We can generate even more card draw off our artifacts with Reprocess. When you get bored of durdling with ’em, exchange them for other fun stuff, like extra turns. After dumping all your toys to the above mentioned ironworks or a big Reprocess, etc. you’re going to want a way to bring them all back again. Our primary white spells for accomplishing this are Second Sunrise, Open the Vaults and Faith’s Reward. Salvaging Station is a great method of cycling through artifacts in our yard and create a huge value engine. Sydri allows us to animate noncreature artifacts and trigger the station. Your durdle will be able to be seen from space. So you’ve cast a bunch of eggs, reanimated them and drawn a bunch of cards. You might be Wondering how this is supposed to reduce other players life totals to zero. Once you’ve grown tired of getting your durdle on, there are a few methods that can close out games. Chipping Away at Life: Psychosis Crawler and Disciple of the Vault both provide ways to chip away at opponents life totals while artifacts are flipping around from zone to zone. 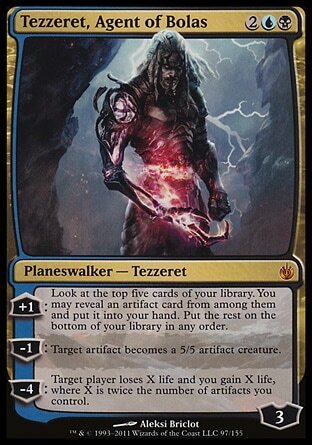 The Tezzerets: Both Tezzeret the Seeker and Tezzeret Agent of Bolas are perfectly good methods of closing out games when you use their ultimates with agent of bolas having the added benefit of creating an 5/5 army one by one and the Seeker allowing all sorts of tutoring and untapping shenanigans. The Thopters: Thopter Foundry is a handy sac outlet and when combined with it’s best friend Sword of the Meek you can quickly take an army to the skies. Of course if you get a Time Sieve into the mix then you’ve hit max durdle level and have moved on to winning outright. Affinity for Robots: If all else fails you can use the tried and true method of equipping a Cranial Plating or mass sacing artifacts to an Arcbound Ravager. 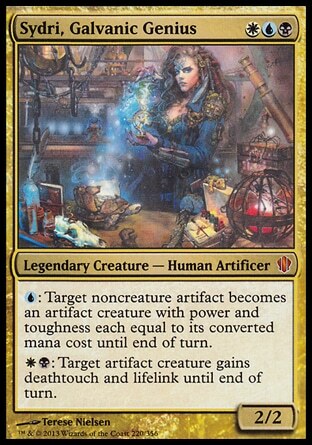 If Disciple of the Vault is in play then you are doing it Mirrodin Block style.